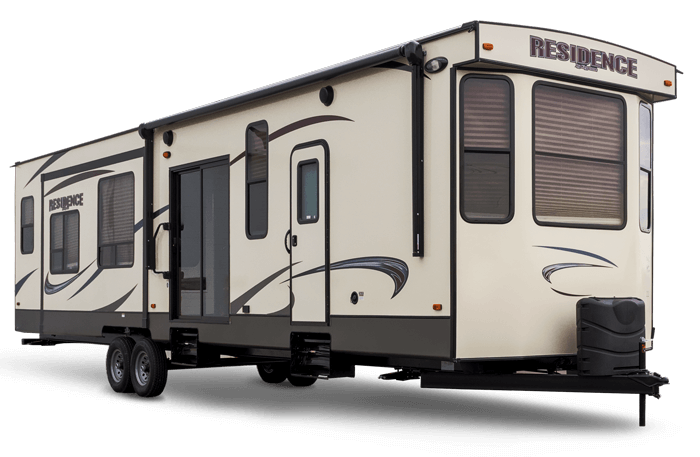 Residence Signature Series destination trailers are the perfect home away from home. Enjoy the full-featured luxury and high-quality craftsmanship you’ve come to expect from Keystone. Residence is designed for those spending the most time in the outdoors with their RV. Features of the Residence Signature Series include 40,000 BTU forced air furnace, glass shower enclosure, washer/dryer prep, residential style kitchen, extra-large pantry, water purifier and much, much more! Make your extended stay in a Residence Signature Series.